I wanted to give you a recap of Awareness Eyes that are out. 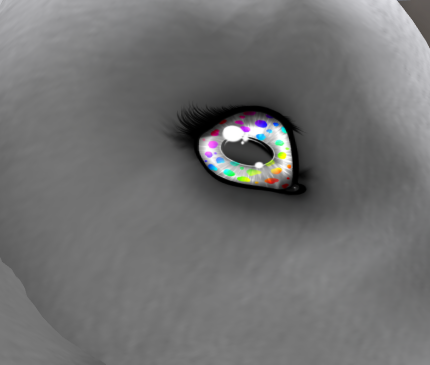 On March 1, 2013 the first of the new Awareness eyes were born onto the grid. 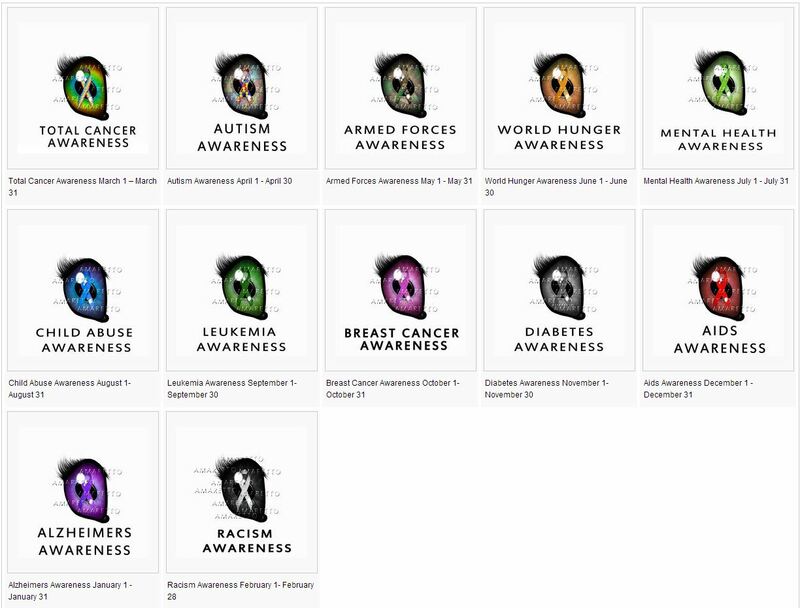 A new Awareness Eye was added each month. The last Awareness Eye was released in February 2014. Everyone had a chance at one of these exciting Non-Starter eyes as they are randomly dropped into bundles at the time the bundle drops. The only way to get an Awareness Eye today is to purchase from another breeder in the 3rd party market. These eyes CAN be pass on. After the Awareness eyes were completed the Appreciation Eyes were announced. Beginning March 1, 2014 the first of the new Appreciation Eyes was born onto the grid. These eyes will promote Appreciation for something new each month. The Appreciation Eyes are one set of many exciting possible Non-Starter eyes that can come from breeding any coat. You can have a chance at one of these exciting Non-Starter eyes as they are randomly dropped into bundles at the time the bundle drops. Your horse needs to be version 4.0 and higher for this eye to drop. Here is a list of the Appreciation Eyes that have been released so far, with a new one released each month! 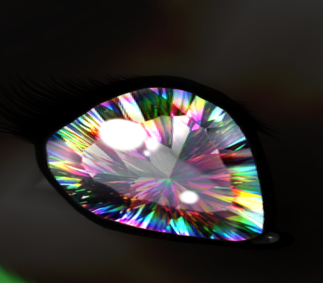 Keep your eye out for the new Appreciation Eye coming out June 1st! TGIT! Thank goodness it’s Thursday! That means it’s time for another Breedable Spotlight!!! This week’s is Red Hot! That’s right we’re going to talk about the wonderful projects involving the red traits. 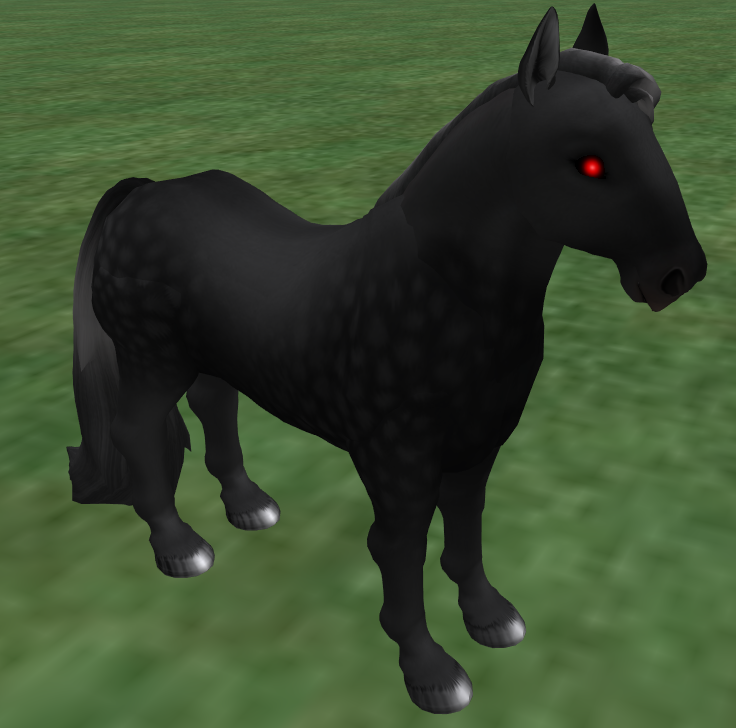 I think the red traits have been popular for quite some time because of the beautiful “vamp” horses that the community had such a great time breeding. Now with the addition of many more red traits the possibilities for making gorgeous horses with them has increased astronomically! Personally I have a few projects going with the red traits. 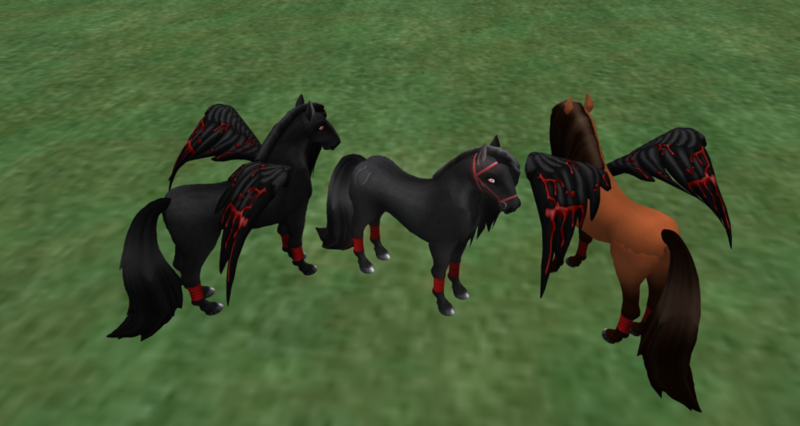 Of course I am trying to add the red bridle and bloody wings to my black horses with red socks. I have about 3 different variations of red eyes going with them, just because they all look super cool and I’m trying to branch out from only having Garnet eyes. My favorite and the one giving me the hardest time is the Ritual eye. It looks amazing and should really make the black and reds pop! Thanks for letting me take a picture of the Ritual eye on a gorgeous Percheron DamianaArima Resident! My absolute favorite new project with the reds has to be my Red Icelandics with bloody wings and red socks. I am trying to put a cool eye and the red bridle on them. As you can see from the pictures below they really look amazing. I have seen many different projects out in the markets using the red traits and they are all extremely lovely. I have talked with many who are working with red traits and have so many great ideas for them. As you can see from the picture below Robbydiggler Resident has a beautiful line of white horses with red bridles, hooves, wings, hair and of course the extremely sought after red horn. Thank you for sharing a picture of this gorgeous horse! I hope the pictures send you all running to find the next great red project! I can’t wait to see what the community decides to put together next, your creative with the traits available is a never ending source of inspiration for myself and many others! Amaretto has a lot of different groups available to cover your needs. Here is a list of some of them and a little bit about each one. 1.The Amaretto Ranch~ Breedables group. This is the main group of all the Amaretto groups. This is a very fun and active group. If you have questions about or breedables, this is an awesome place to turn to. 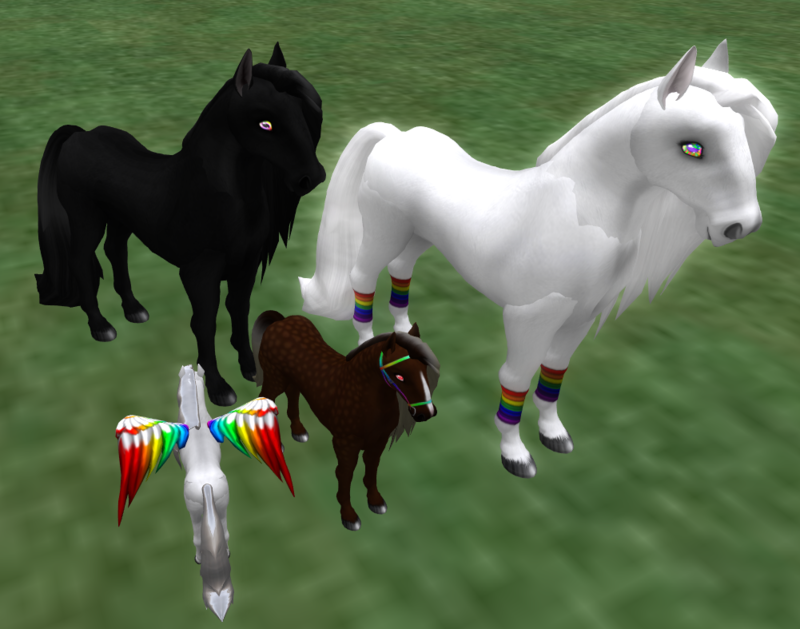 In this group you can also share your awesome bundles and horses You can usually find Group Moderators in here and staff members too!.This group is available to avatars 40 days and older. 2.The Amaretto Ranch Multi Language group. This group chat is for chat and support in multiple languages. Just like the main group if you need your questions answered or want to share your amazing breedables in your language, you can pop in to this group at any time. As with the main group, the multi-language group is available to avatars 40 days and older. 3. The Amaretto Market Owners Coalition (A.M.O.C.) group was designed in hopes to bring the breeders and market owners together. The officers of this group work together to try to bring some stabilization to the secondary market. They put together many fun events each month and they hold monthly meetings for the community to discuss their ideas. This group is by invitation only. Please contact a member of the Amaretto Team so we can send an invite to those that support Amaretto and are interested in promoting the secondary market. 4.The Amaretto Ranch Boomtown group was created specifically for our social sim, The Amaretto Boomtown sim. The Amaretto Ranch Boomtown sim is a awesome little town where you can go to hang out with other members of the community and possibly run into some of the Amaretto Team while you’re there. Club Amaretto is located on Boomtown and so is our fishing dock, where we hold fishing contests quite often. We also have a Game Arcade where you can come out and play Greedy and other games and have a great time. 5. The Amaretto Ranch University group is dedicated to the ARU. The Amaretto Ranch University is a sim dedicated to higher learning of Amaretto Ranch Breedable products. This group and sim were created as the community expressed this is something they would like and that the community would obviously benefit from. 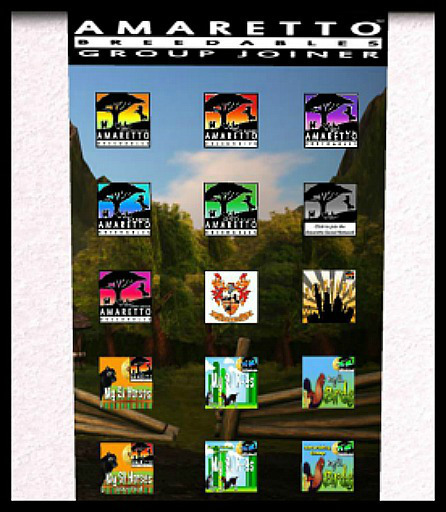 The mission of Amaretto Ranch University is to educate our community on all aspects of the Amaretto Ranch products. We believe that to achieve full knowledge of our products means to fully enjoy them. Amaretto Ranch University is provided to the Amaretto community free of charge and is supported by Amaretto Ranch and volunteers who believe in this mission and are committed to providing competent and caring guidance to all who seek it. This group is for avatar 40 days and older. 6. The Amaretto Ranch K-9 Group group was created for Amaretto Ranch K-9 lovers! This group is dedicated to chat about all things K-9 . If you have questions, suggestions or you’re just looking to chat with others about Amaretto K-9s , this is the group for you! Once again, this group is open to all avatars 40 days and older. 7. The Amaretto Ranch Barnyard Bird Group was created for Amaretto Ranch Barnyard Bird lovers! This group is dedicated to chat about all things Barnyard Bird.. If you have questions, suggestions or you’re just looking to chat with others about Amaretto Barnyard Birds , this is the group for you! Once again, this group is open to all avatars 40 days and older. 8. The Amaretto Advertising Network Group is where. 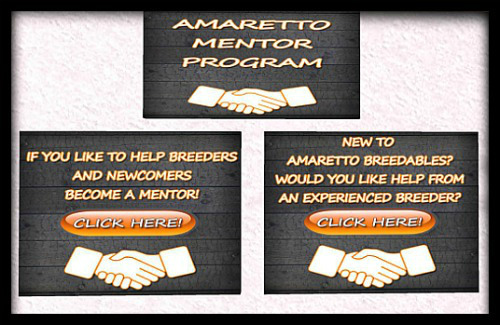 you can advertise your Amaretto Ranch Breedables for sale. 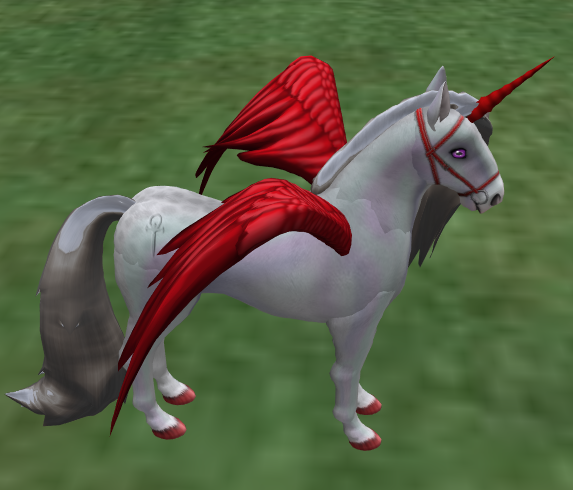 You can chat about your breedables here; post them for sale, for trade and or give-a-way! Feel free to advertise your stores/booths no matter their location. Advertising may be allowed but abusive behavior and arguing are not tolerated. The posting limit for this group is 1 group IM per hour and 1 notice per 2 hours. The maximum is 4 ads per day. This group is open to all avatars 40 days and older. Last but not forgotten is The Amaretto Mentor Program was an idea born from our wonderful staff and community via the A.M.O.C. group meetings. This group was made to help anyone in need of information and guidance from an experienced breeder. If you would like to help out a new breeder, go to the Haven sim, University sim or the Amaretto main store and sign up to become a Mentor. You can click the “Become a Mentor” board and you will be assigned a group tag of Mentor. Then you just need to go into the Amaretto Mentor group and introduce yourself and see if anyone needs any help! If you have questions about breeding or you’re a new breeder in the community, you can go to the Haven sim, University sim or the Amaretto main store and sign up to become a Mentee. You can click the “New to Amaretto Breedables” board and you will be assigned a group tag of Mentee. Then you just need to go into the Amaretto Mentor group and introduce yourself and ask if anyone is around that could answer some of your questions! Im sure that with all these groups available out there that you can find the ones that fit your needs! Until next time Happy Breeding!!!! Ready to Twist? Well this time we are combining the Roan and the Blue Heat Molten Fell Pony!! From June 5th 2014 until July 5th 2014 you can breed any color of Roan and a Blue Heat Molten Fell Pony together and you have the chance of discovering a brand new coat designed especially for the Twist called Molten Roan! The difference between the Twist horses and the Show horses is the coats you discover each month will have the ability to pass! Of course each will also come with a very cool twist eye that will pass as well. So just to be clear you need to breed one Roan of any color and one Blue Heat Molten Fell Pony together in order to have a chance at getting one of the brand new Molten Roans! Our K9s want to twist too so from June 5th 2014 until July 5th 2014 If you breed any color Dalmatian with any color Into the Wild you have the chance of discovering a brand new coat designed especially for the Twist called Dawild! The difference between the Twist K-9s and the Best in Show K-9s is the coats you discover each month will have the ability to pass! Of course each will also come with a very cool twist eye and collar that will pass as well. So just to be clear you need to breed any color Dalmatian with any color Into the Wild in order to have a chance at getting one of the brand new Dawilds! Hey everyone I hope that you are enjoying a lazy Sunday! I wanted to take some time out to tell you guys about the importance of updating! *You must update your horses to take advantage of all fixes in a update. *To breed for twist horses your horses must be current version. 2. It will not update pregnant horses. The reason being the updater can potentially abort the pregnancy. Waiting to update your pregnant horses will not effect the horses functions, they will continue to eat, move, animate etc. When they give birth to the bundle, then you can update them. 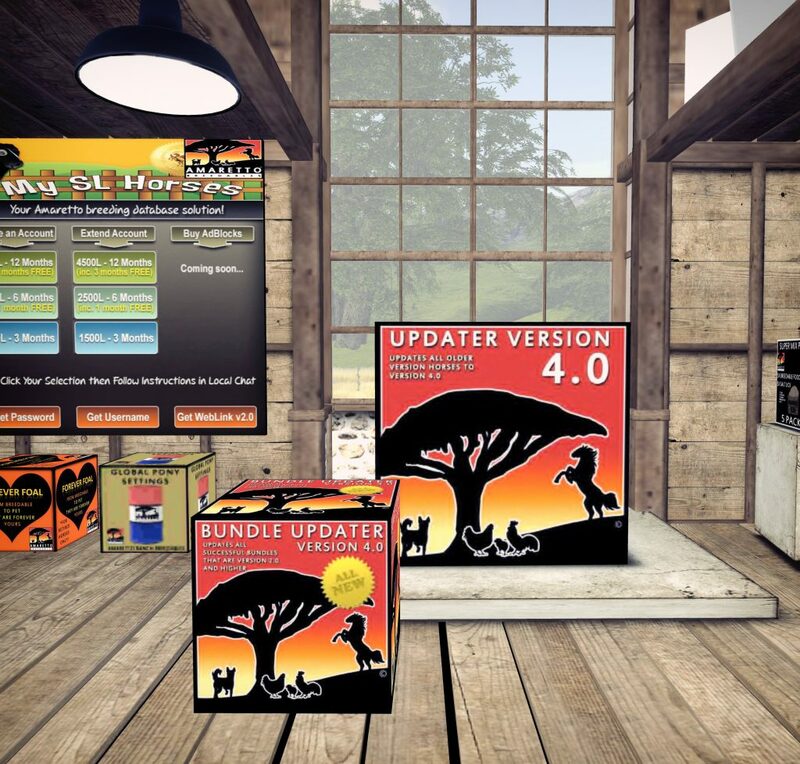 The bundle will be the old version and need to be updated when birthed. Now you guys should be all ready to update your breedables! Happy Breeding everyone this is Ava over and out! Happy Friday Everyone ! Hope everyone is having a good breeding day! I would like to tell you about all the bridles that are out at this time this is how it you could get them. June 22, 2013 Amaretto held an auction 100 Years of Hope OOAK an raised 2,250,200 lindens. Amaretto announced at this auction that this OOAK horse was hiding the 21st trait. The bridles do pass !!! December 18, 2013 Amaretto released Amaretto 2013 Holidays Horses, they were on sale until January 1 2014. The horses was hiding hidden surprises, which was the blue, red, pink, green bridles ! These Limited Editions horses also had hidden surprises. Which was the rainbow , purple, candy cane, orange bridles. So that is how you could get them now list the color of the new bridles ! Happy Thursday everyone! Hope you have all been enjoying a wonderful week of breeding while anxiously awaiting the next Breedable Spotlight! Well the wait is over it’s time to shine this week’s spotlight on what is shaping up to be one of my most challenging projects ever … rainbows! I have spent more time than I would care to admit standing around humming “Somewhere Over the Rainbow” while staring at the pretty rainbow eyes, rainbow wild hairs, rainbow wings, rainbow socks and now the beautiful rainbow bridles available on the horses. I go out and look around in the markets and it seems there are a plethora of rainbow based projects community members have been working on for some time. I see most projects are using white horses as the base and many projects are adding wings and pretty rainbow wild hairs. I have finally come up with a rainbow project I want to work towards however I just cannot decide what eye I like best so I am going for more than one. 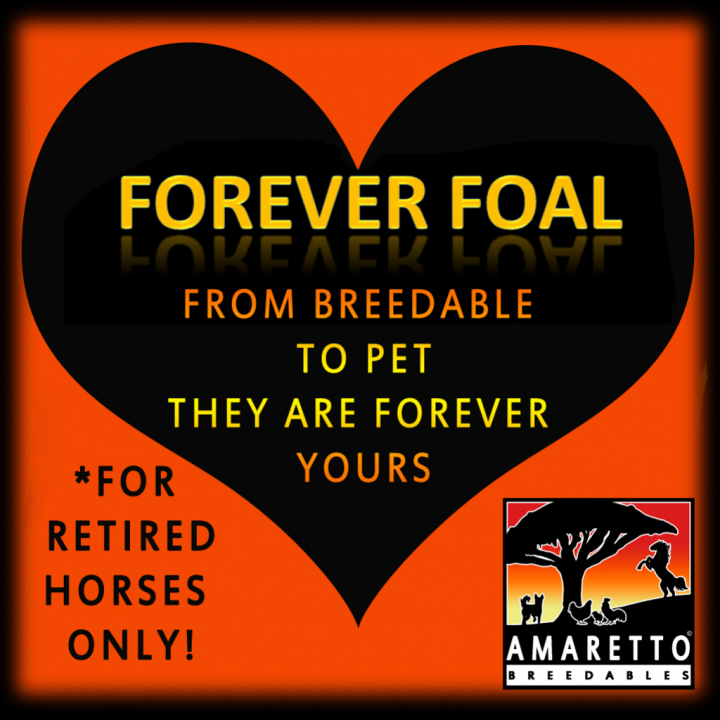 This is another great thing about Amaretto breedables you can give yourself plenty of options!! My project is not as elaborate as many of the members of the community but as I have found time and time again, less traits does not equal easier! 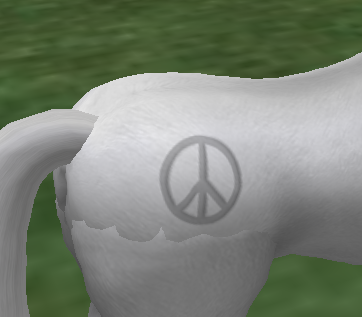 I like to see the rainbow traits on both white and black horses so I am working on both. I am trying for more than one pretty rainbow eye, the rainbow socks and rainbow bridle on a double gleam long/long white or black horse with a Peace branding. I have some pictures below that show some of the pretties I’m working on! As always I look forward to hearing from you about your special projects! I hope these spotlights encourage everyone that reads them to think outside the norm and breed your own happiness! Until next week I wish you all Happy Breeding full of peace love and rainbows! A Null trait is an “Invisible trait”, a placeholder. These placeholders were implemented as a way to allow the breeder to have a maximum trait K-9 but still look the way they want it to look. 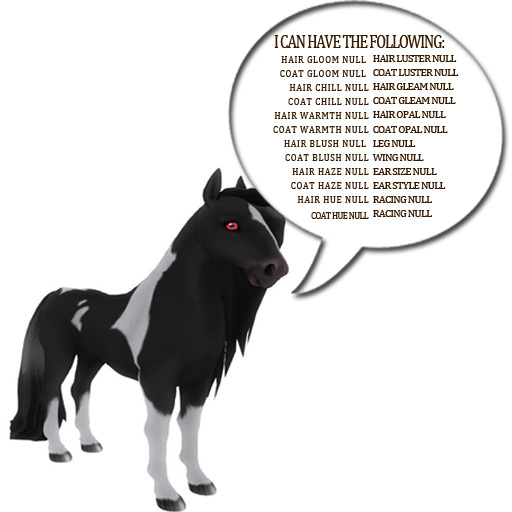 Below is a list of the Null traits available for the Horses, and what each null replaces. There is currently a total of 15 maximum nulls that you can have on a horse at one time. Remember not all of the nulls listed above can be on one horse, just as you can not have Coat Gloom and Coat Chill you can not have Coat Gloom Null and Coat Chill Null on the same horse. Below is an awesome picture of a horse with Null Traits. Here is a list of the available Null traits for the K-9s, and what each replaces. 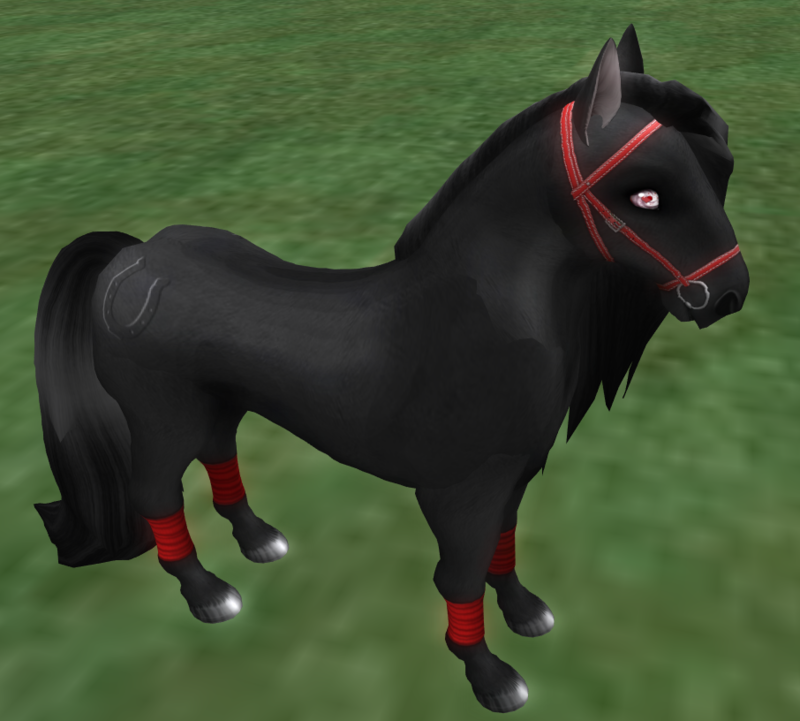 So with all the traits available now and all the different Nulls out there, you can let your imagination run wild and create your Dream Horse or K-9. Forever Foal and Perpetual Puppy!! Do you have a retired horse with sentimental value? Do you want to keep that special spayed or neutered K9 until the end of time? Well I have the answer for you! Forever Foal and Perpetual Puppy! The Forever Foal makes a Retired horse so that it will not require food anymore and the Perpetual Puppy make a Spayed/Neutered K9 so that it will not require food any more. The horse and/or K9 will still function as a normal retired horse or spayed/neutered K9 would. The hover text will read “pet” after they have been turned into a Perpetual Puppy or Forever Foal. Sounds awesome, doesn’t it? Let me point out some important information to make the redemption process go smooth. Once a horse has been turned into a Forever Foal it is permanent and cannot be reversed. You can not give the certificate away as a gift. Only the person who purchases the certificate can redeem it. Once a horse is made it to a Forever Foal, it is transferable. Once a K9 has been turned into a Perpetual Puppy it is permanent and cannot be reversed. Once a k9 is made it to a Forever Foal, it is transferable. 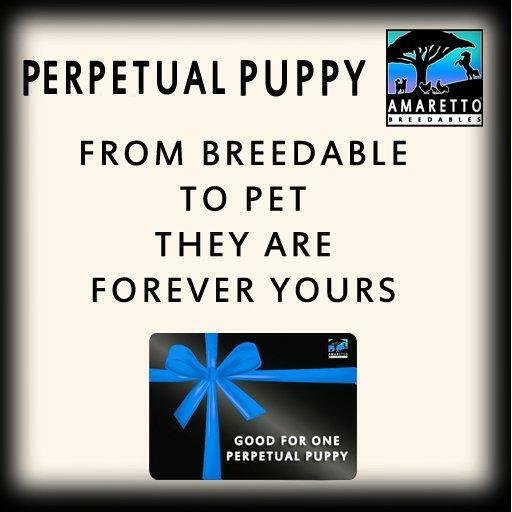 I hope this is helpful information and please remember, The Perpetual Puppy and The Forever Foal is an OPTION…. If you do not want to purchase it, you do not have to. You can continue to feed your Spayed/Neutered K-9s and Retired Horses pet food as this option has not changed. Hi everyone! I know at the Journey of a Promise Auction I told you guys that we would be doing some other fun stuff this season for Relay for life! I so excited to announce the Country Fair & Raffle Rally !!! From June 11, 2014 until June 15, 2014 we will have some very special items to raffle off with all proceeds going to RFL! Thats not all!! We will also be having events and live entertainment during the fair as well. I have listed the raffle items below so you can see which ones you like and be ready for the rally! Also a list of events we will have during this fun filled five day long fair and raffle rally! **RFL Fishing Fundraiser** with awesome Amaretto Prizes! **Kissing Booths, come smooch an Amaretto staff member to raise lindens! **Dunk Tank, get an Amaretto Staff member wet and raise those lindens! **Pie Eating Contest, and much more! **Create your own K9 Collar** This collar will be all the winners design and come on the K9 of your choice. Please see the notecard, **Custom K9 collar Rules** in the information board next to the K9 collar raffle board. **Create your own Horse Eye** This eye will be all the winners design and come on the horse of your choice. Please see the notecard, **Create your own Horse Eye** in the information board next to the horse eye raffle board. **Create your own K9 Eye** This eye will be all the winners design and come on the K9 of your choice. Please see the notecard, **Create your own K9 Eye** in the information board next to the K9 eye raffle board. **Create your own Bird Eye** This eye will be all the winners design and come on the Barnyard Bird of your choice. Please see the notecard, **Create your own Bird Eye** in the information board next to the bird eye raffle board. **Create your own Horse Branding** This branding will be all the winners design and come on the horse of your choice. Please see the notecard, **Create your own Horse Branding** in the information board next to the horse branding raffle board. RFL Consumable Pack! This box is packed full of Amaretto horse consumables including: Amaretto Breeder Food Mega Pack (100 Boxed), Amaretto Ranch Salt Lick Mega Pack (100 Boxed), Amaretto Pet Food Jumbo Pack (25 Boxed), Amaretto Brand Pregnancy Booster 1% 5 Pack (Boxed), Amaretto Brand Pregnancy Booster 5% 5 Pack (Boxed), Amaretto Cocktail Five (Box), Passion Pills Twenty (Box), Amaretto Ranch Endurance Elixir Ten (Box), Sugar Cube Five (Box), Amaretto Breedables Healing Kit Five (Box), Horsey Snacks Ten (Box) wow that is a bunch of stuff, over 46,000L worth of consumables! So mark them calenders and do not miss out on the fun and prizes! See y’all at the fair! So this time you wont get stuck listening to me for hours!!! But keep these dates and all these great raffles in mind, and let’s raise some money for Relay For Life!!! Until next time this is Ava over and out! Happy Breeding Friends!! !